When it comes to electrical issues, many of us freeze in our tracks. We see a bundle of wires and too many colors to comprehend. 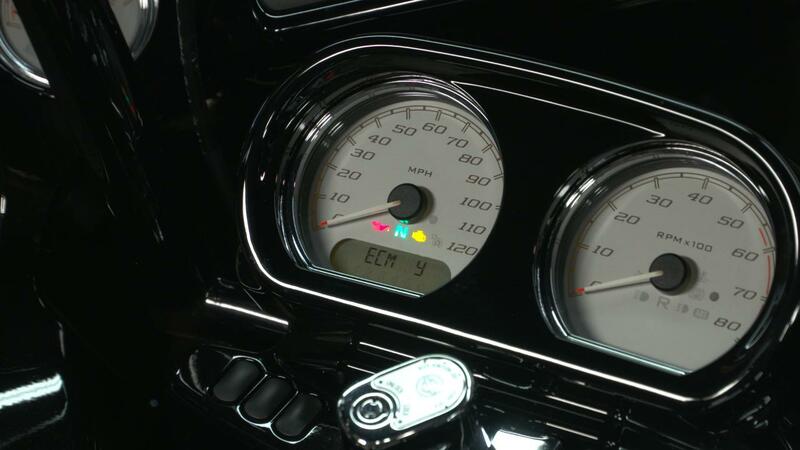 But the fact is that many “electrical” issues on our Harley-Davidsons are fairly straight forward. “Spark and “Fuel” are still the best places to start, but as Harley-Davidson evolved over the years the Twin Cam has some added technology to trip us up. You’ll want to make sure you have spark but if you don’t, why not? You’ll want to make sure you are getting fuel but if not, why? Simple sensors on our Hogs can stop working and leave us at the gas station scratching our heads. You’ll learn step-by-step how to diagnose what’s wrong, and how to address the issue – saving you time, money and hassle – and getting you back on the road. In addition to video instruction, this Class provides you with some extra downloadable information. Those include a printable Class Guide covering the key steps in the class and three bonus video downloads. Mike not only covers the important topic of disarming security without a key FOB, he takes you further by showing how to retrieve a pin code and how to set a new pin code. This is demonstrated on both 2013 & earlier, and 2014 & newer models. Mike also gives you a number of tech tips including setting four-way flashers, starter relay info, removing a battery with a siren, replacing a TSSM with a TSM, and using transport mode. Most of us know, when a motorcycle or automobile will not start, we check for spark and we check to see whether or not we’re getting fuel. 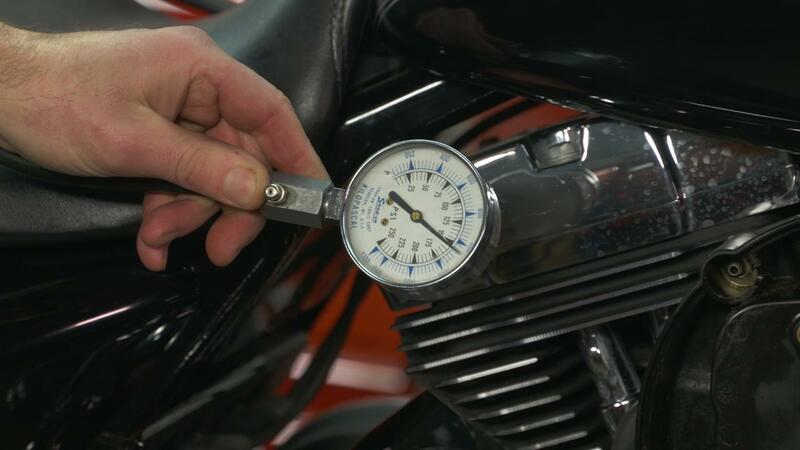 But equally important on a Harley Davidson is a compression test. If there is greater than a 10% difference in compression between the two cylinders, a motorcycle will perform very poorly or not run at all. In this session, Mike gives you instruction and insight on performing a compression test and a fuel pressure test. 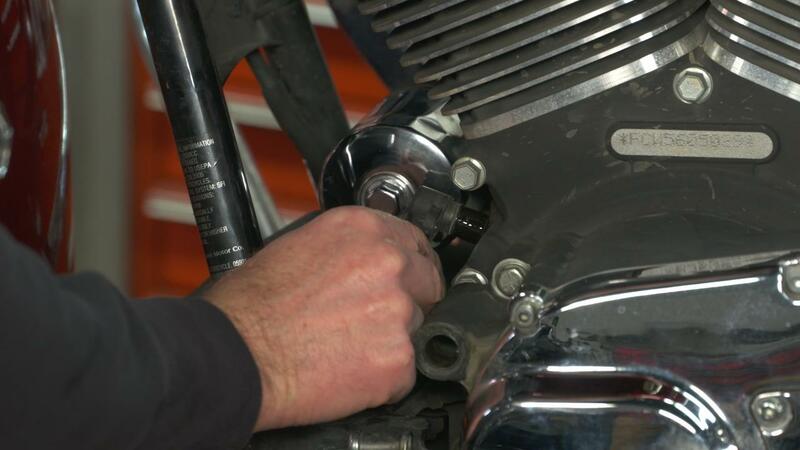 If you do determine that your Harley does not have spark, Mike demonstrates a great place to start testing. Test your crank position sensor. A good sensor should have between 600 and 1200 ohms. Unfortunately, this does not mean that the sensor will still be within spec when the motorcycle is at operating temperature. This makes a crank position sensor a good item to replace as preventative maintenance. 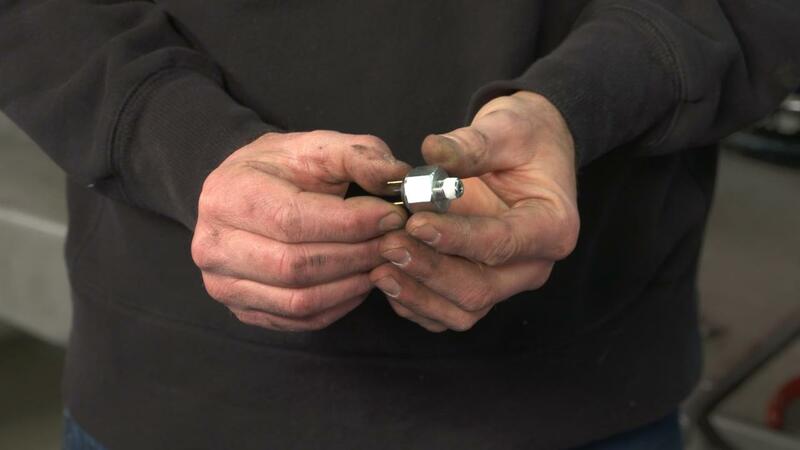 In this session, Mike covers everything from testing the ignition coil to some real handy tech tips. He helps you understand a professional's approach to diagnostics. 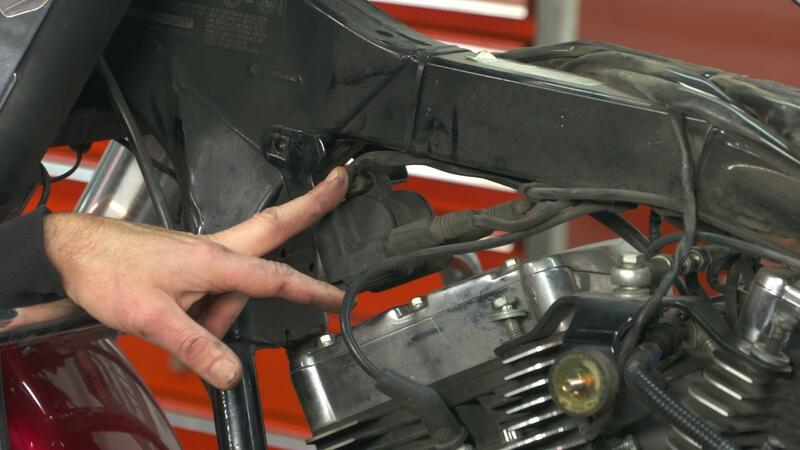 When your motorcycle has no spark or is not running correctly, it can be difficult avoiding a trip to the dealership. With an electrical manual and the tips in this class, you can be on your way to your own diagnosis and repair. 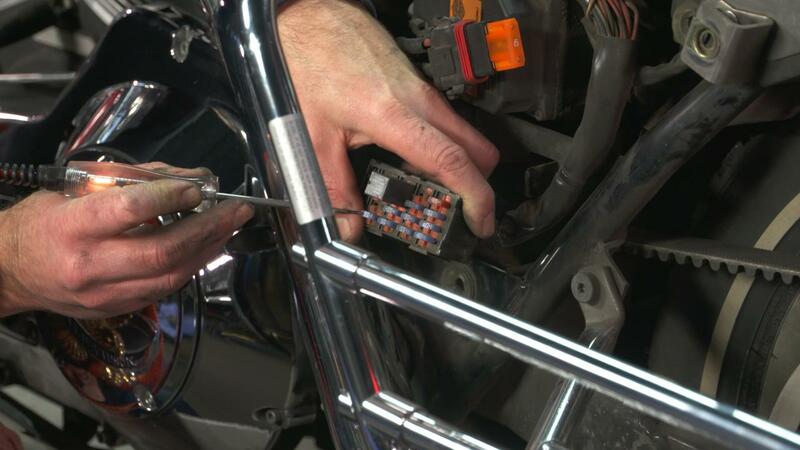 The fuse box is an important starting point anytime you are troubleshooting an electrical issue on your Harley Davidson. A blown fuse is usually an indication of a dead short on a particular circuit. 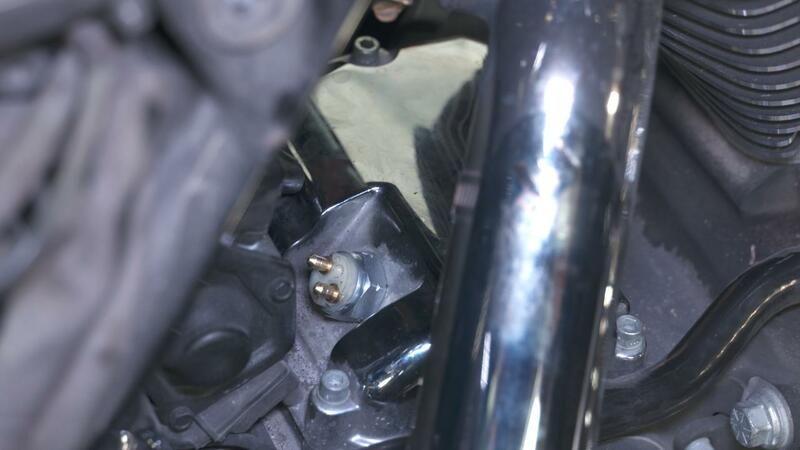 Most commonly, a dead short will be found in an area of the motorcycle that has been altered or customized. In this session, Mike covers fuse box locations, configurations, and changes through the years. Diagnosing a cruise control issue can be challenging. However, there are some simple things to start with that cannot be overlooked. The most common reason for an inoperative cruise control is brake light, or brake switch issues. Always start by checking to see if your brake light is stuck on, or if the brake light flickers with vibration. Most bikes, 2008 and newer, can go into a cruise diagnostic mode which is very helpful in determining an accurate diagnosis. A quick safety check should be performed before every ride. A very important part of every pre-ride check is brake light function. Brake light failure is a very common problem, especially on motorcycles that have been modified. The repair can be as simple as bulb replacement or it can be more involved like front brake switch replacement. 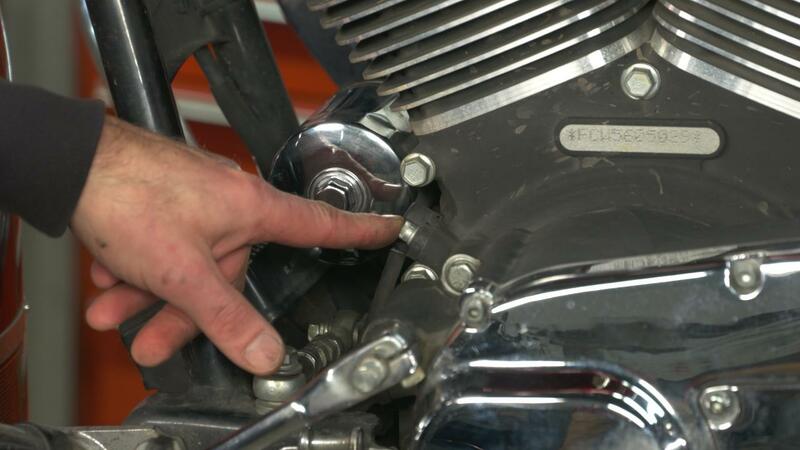 In this session, Mike gives you pointers on diagnosing rear brake switch issues as well as rear switch locations and switch replacement. 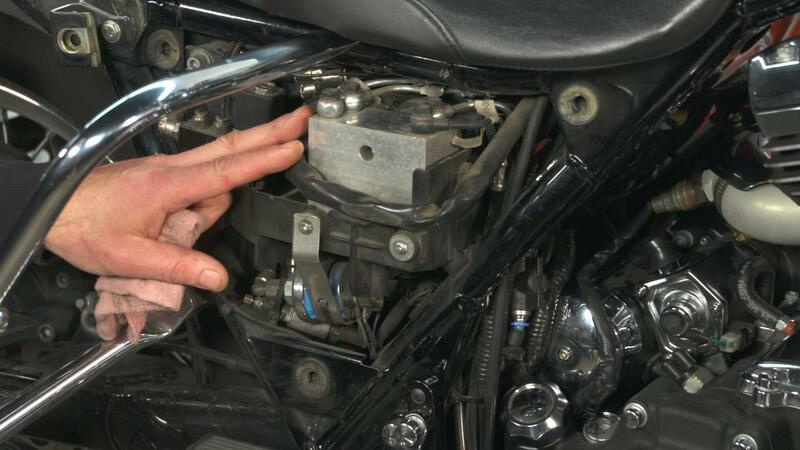 If your Harley Davidson has an ABS code, don't panic and run out to the dealership. Although there are ABS tests and procedures that you cannot perform at home, there are several tests and inspections that can be accomplished with only hand tools and a multi-meter. Mike shows you how to test an ABS sensor and gives you tips on what to watch out for.